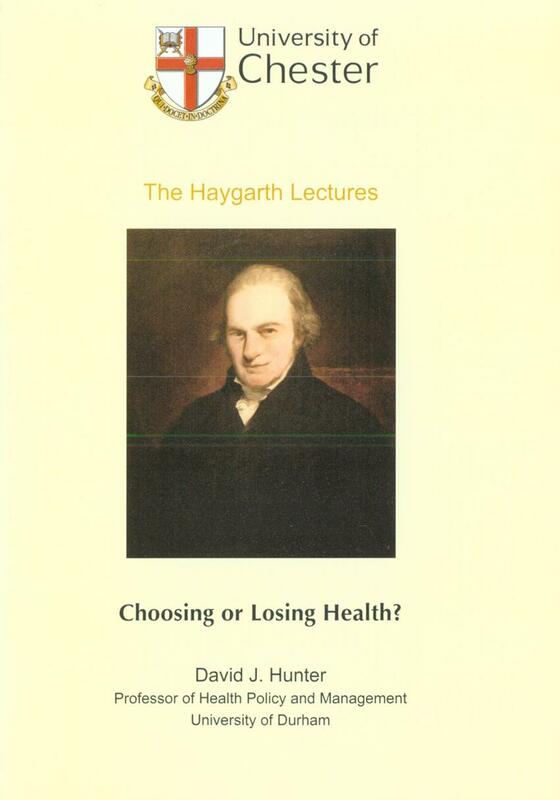 Home > University of Chester Press > Inaugural & Haygarth Lectures > Choosing or Losing Health? The Haygarth Lectures, named in honour of the pioneering local physician John Haygarth, are sponsored by the Cheshire Primary Care Trusts, the University of Chester and Cheshire County Council. This, the inaugural lecture, offers a critique of government policy in the field of public health from 1997 to the present, concentrating on the effects of the influence of neo-liberal economic thinking on the development of policies and the resulting marketization of services.